Rants and musings, without care for substance. What did I do to deserve this? Are you two compensating for your smaller wheel bases? Or are you jealous of my lower monthly payment? What did I ever do to you? I’m not mad, but I’d like closure. And reimbursement for my cab ride to the office. I fully intend to be a mini owner one day, and have no intent of doing that to anyone when it happens, but it does look to me like you got perhaps a little too much closure? They don’t sell Mentos near you? 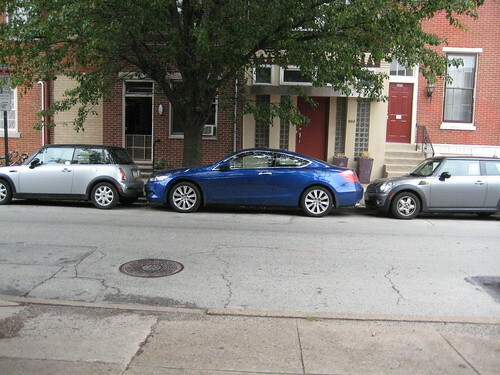 I own a MINI and I just LOL’ed so hard. Copyright © 2014 Alex Moundalexis. All Rights Reserved.